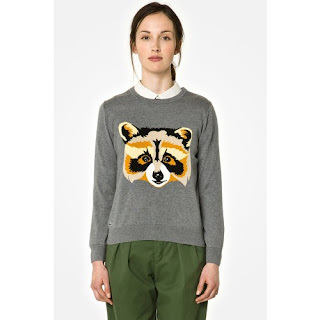 Obviously, animal sweaters are a huge trend for fall. Everywhere you look, there's a cute face peeking back. As usual, I have succumbed! I was able to pass on J Crew's hen sweater but when they introduced the little french bulldog....Well, I just couldn't stop myself. I'm wearing an x-small, a size down from my normal small. My normal size was a bit loose in the body so if you're contemplating this cutie, you might want to try a couple of sizes to see which offers you the best fit. And if puppies are not your critter of choice, here are a few others that may interest you. Happy Hump Day! and speaking of Wednesday, I'm linking up with the Pleated Poppy for WIWW. I love the little animals on everything. My daughter just got a shirt with a fox on it. Adorable! Looks super cute on you!! 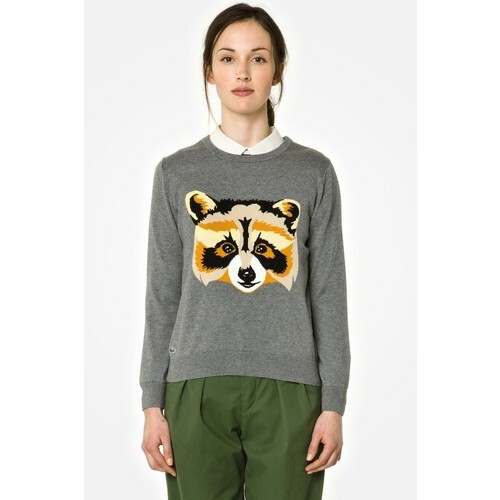 I just ordered the factory puffin sweater and am trying not to get tempted by the hen blouse that is now on sale. I adore that bulldog sweater on you! .. omg. i think i want all of the sweaters. i wish i had a puppy that looked like the jcrew sweater! Me too...We had English Bulldogs growing up but I've never had a French bulldog. About a year ago, animal control broke up a puppy mill in our area and several of the dogs were put up for adoption at a local shelter...french bulldogs, english bulldogs and boston terriers. There was a little black french bulldog that I wanted so badly to go and adopt! I must have the scottie one from crewlet. My dog is a scottie!!! Oh, he is a cutie! and since you have a scottie that makes him even more irresistible! 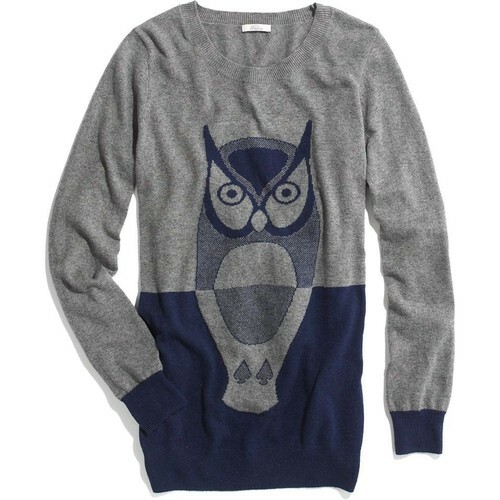 Ohhh, I love, love, love this sweater on you! I saw it in store, but was strong enough not to take to the fitting room with me ( scary to fall for it!) once I already succumbed on the French hen in acorn blue, but this is so cute with the shoes and pants you pair it with! Surprisingly enough, I somehow resisted the french hen...but this little guy, I couldn't stop myself. The plaid skimmers came today...super cute!!! I haven't gotten my pics yet for the review but I went with the 4. The 2 was too tight. You will love them!! Definitely, let me know...fingers crossed they are a perfect fit! Not that you need it now, but I'm going to try my best to get pics and post review tomorrow. I tried to resist him, I really did but he was just to darn cute! Oh no you didn't! So love!!! 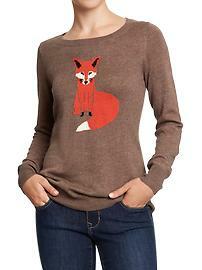 I saw it at jcrew on Sunday and drooled,.I'm dying for the fox from old navy! 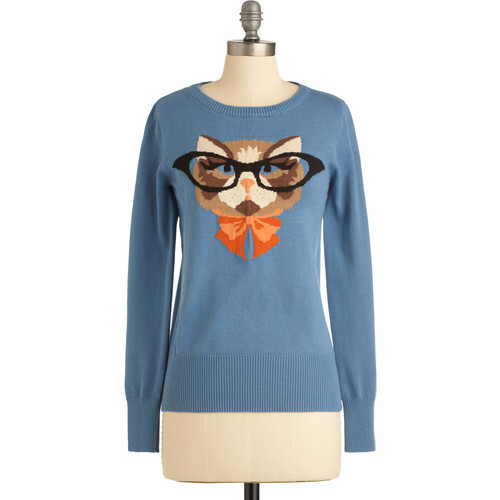 Ditto on the ON fox sweater...I think it looks adorable!! That frenchie sweater is super cute!!! Love it! Thanks, Nikki...isn't he the cutest?! I'm actually planning to wear him again tomorrow.